By now, you probably know that using keywords or key phrases are important to help drive traffic to your website. A good way to think of keywords is to think of them like fishing bait. 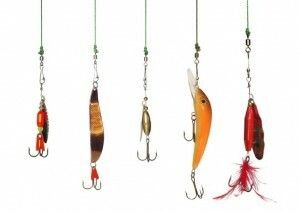 Different bait brings in different fish, so, too, different keywords bring in different prospects. So keywords — the words that people type into search bar tools — are extremely important to help the widest possible types of customers find you. But did you know that you shouldn’t be using a lot of keywords on any given page? Why? If you use a lot of keywords on one page, Google doesn’t know what the page is about. It can’t classify a single page for 30, 60, or 90 ideas. Too many keywords on one page confuse the search engines. Keep in mind that you wouldn’t put 50 pieces of bait on one hook. Similarly, you shouldn’t put a lot of different keywords on one web page.